Hi there! You are looking at my new project which will take place in 2017. 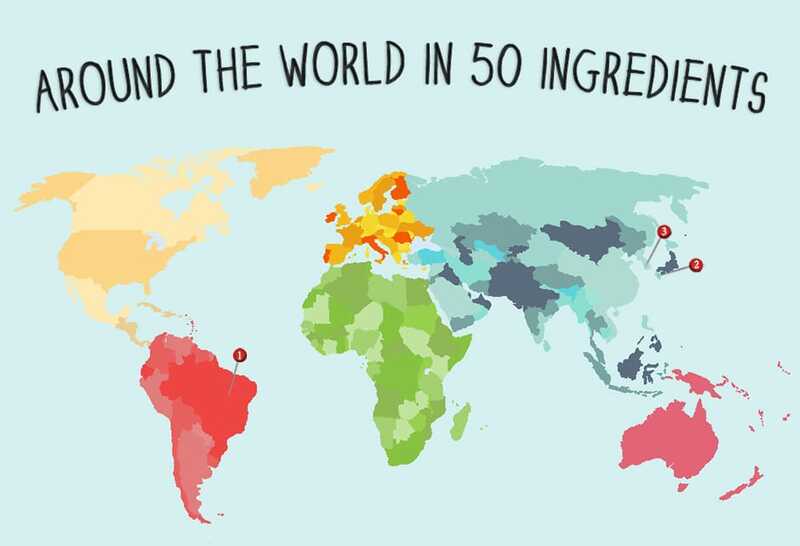 I am going to travel the world (unfortunately, virtually) exploring rare, exotic, and not so well known for the majority of us, ingredients. One post – one ingredient. 50 ingredients in total! In each post I’ll talk a little bit about the ingredient, where it’s from, how it’s produced, and give you a selection of awesome recipes with it. The idea of this project was born in my local supermarket when I was staring at the variety of exotic fruits and veggies not knowing what the hell to do with them! I thought, well, having a blog where I’m cooking dishes from all over the globe and not knowing some products available even in my small country is a shame. Plus, it’s SUPER interesting to explore new ingredients and excite taste buds with something different. There will be a few posts every month and I will be updating the map and the list of ingredients after each one of them. I’m so excited! Let’s go!